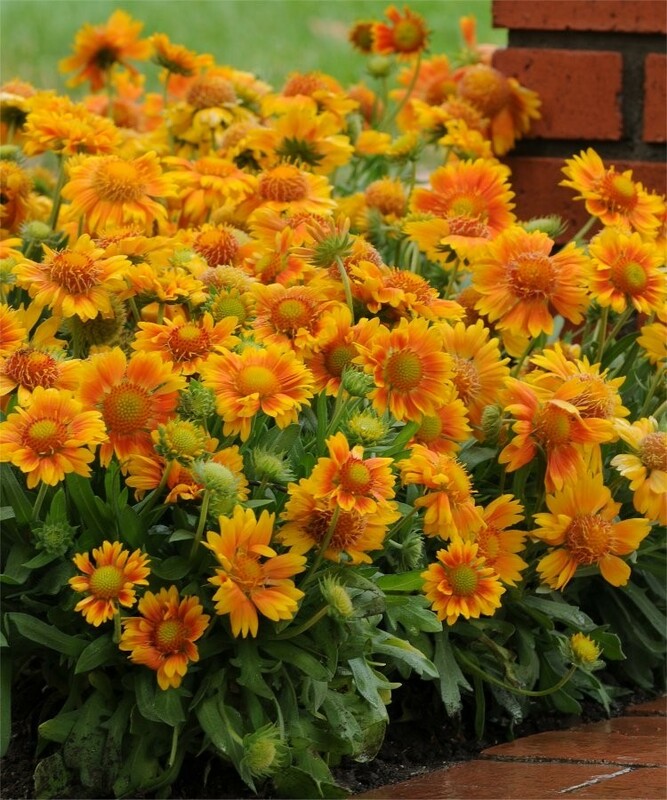 Taking the gardening world by storm, this fully hardy blanket flower is a breakthrough in gaillardia colouring! Rather than the typical bright red and yellow flowers, 'Arizona Apricot' looks just like it sounds - large, Apricot orange flowers with yellow tips and a gold central cone. The blue-green foliage enhances this warm colouring and the round, chartreuse seed heads extend the interest after the flowers are spent. Unlike many of the older selections, this one has an improved bushy habit rather than sprawling. It is quite simply fantastic! These perennials require little care once established. They are heat tolerant and actually prefer to be grown in poorer soils. They get their name from the manner in which they used to blanket North American prairies with their blooms. They can still be found in fields and along roadsides in the prairie regions and into the Rockies. Pack of THREE Plants supplied in approx. 1 litre pots - these have masses of flowers and buds right now so will give a good display this year all summer long, and again year after year thereafter.